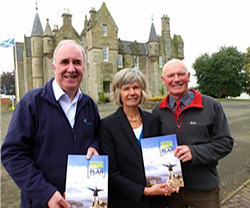 In 2012 a review of the Friends future strategy and priorities was completed to coincide with the adoption of the latest 5 year National Park Partnership Plan. 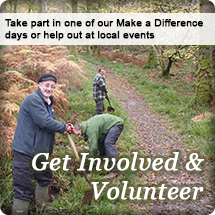 This re-affirmed the Friends core purpose as the only truly independent conservation and heritage charity dedicated to working for the benefit of Loch Lomond and The Trossachs National Park but in light of the Park Authority’s decision to set up a Countryside Trust and in an effort to avoid duplication it was decided future priorities should include placing more emphasis on celebrating the rich and diverse natural and cultural heritage of the Park. The Friends 5 year Strategy and Action Plan for the period 2016 to 2020 is summarised below in chart form. The strategic project themes are likely to remain for the duration of the 5 year period but the priority activities will be subject to review as part of a rolling programme and as resources are secured for implementation.